Because caregivers are naturally empathetic and take on the issues of other people, they can feel guilty saying no or not working when asked. On the other hand, when in-home senior care providers push themselves too hard, their own well-being is at risk. 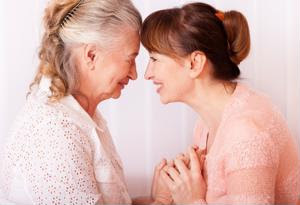 Instead of feeling guilty when you have to say no to your client or their family, practice telling yourself that your own health and time are important if you want to continue all of your duties as a caregiver for another person. If you have trouble letting go of your responsibilities for your client, then pencil "you" time into your calendar. Don't schedule any other appointments or responsibilities during that time, and use it to regroup and de-stress. Lean on yours and your client's families for help. Family members of clients generally don't mind picking up some groceries or spending time with their loved ones, so if they offer to help, jump on it. Let your family help you by doing chores around the house or giving you a little bit of time alone when you need it.